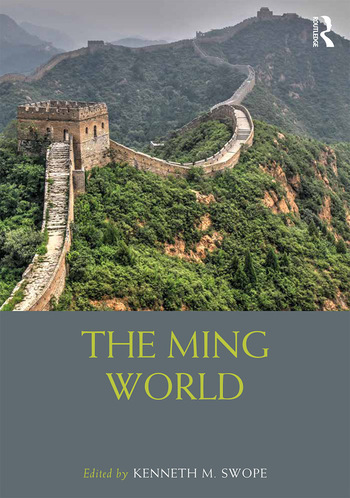 The Ming World draws together scholars from all over the world to bring China’s Ming Dynasty (1368-1662) to life, exploring recent scholarly trends and academic debates that highlight the dynamism of the Ming and its key place in the early modern world. The book is designed to replicate the structure of popular Ming-era unofficial histories that gathered information and gossip from a wide variety of fields and disciplines. Engaging with a broad array of primary and secondary sources, the authors build upon earlier scholarship while extending the field to embrace new theories, methodologies, and interpretive frameworks. It is divided into five thematically linked sections: Institutions, Ideas, Identities, Individuals, and Interactions. Unique in its breadth and scope, The Ming World is essential reading for scholars and postgraduates of early modern China, the history of East Asia and anyone interested in gaining a broader picture of the colorful Ming world and its inhabitants. Kenneth M. Swope is Professor of History and Senior Fellow of the Dale Center for the Study of War & Society at the University of Southern Mississippi. He is also a board member of the Chinese Military History Society and the book review editor for The Journal of Chinese Military History. His publications include A Dragon’s Head and a Serpent’s Tail: Ming China and the First Great East Asian War, 1592-1598; The Military Collapse of China’s Ming Dynasty, 1618-1644; On the Trail of the Yellow Tiger: War, Trauma and Social Dislocation in Southwest China During the Ming-Qing Transition.